The Interrupters performed “She’s Kerosene” and “Take Back The Power” on Jimmy Kimmel Live on July 27th. 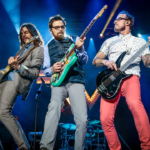 Both songs originate from their 2018, third full-length album, Fight The Good Fight. 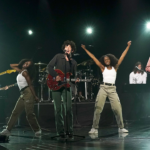 The group had the crowd jumping nonstop throughout the performance. Check out Aimee Interrupters ability to really charge up the performance through her fierce demeanor. The Interrupters are currently on tour with Vans Warped Tour! 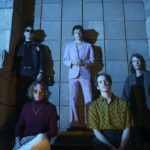 They also have a scheduled fall tour that starts up in September. Check out the dates by visiting their website. The Interrupters play Regular Slinkys and Bass Hybrid Slinkys. Slash feat. Myles Kennedy and the Conspirators have dropped their newest song from their upcoming album, Living The Dream. The new song is titled “Driving Rain” and it comes with a trippy animated video of skulls in Slash’s signature top hat. Living The Dream will be released on September 21st. The album is available for pre-order now as a bundle with a free download of “Driving Rain.” The group will also be planning a fall tour beginning in Los Angeles. Catch the show dates on Slash’s website. 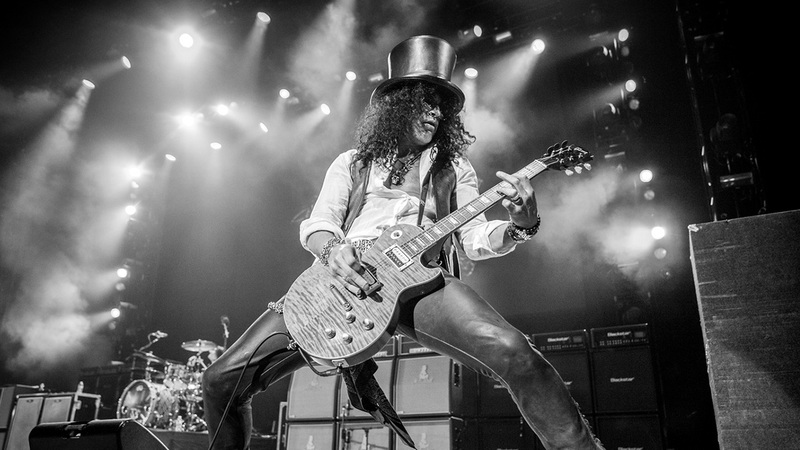 Slash plays Paradigm Powers, RPS 11 Power Slinkys, and Earthwood 80/20 Medium Light Acoustic Strings. If you haven’t seen it yet, check out Slash and his longtime guitar tech, Adam, chatting about Ernie Ball’s Slinky Paradigm strings and what he experienced when he made the switch. Preorder Look Now and grab tickets to the upcoming fall tour. Take a look at Elvis Costello and the Imposters website for more information on the album. Elvis Costello and the Imposters play Regular Slinkys, Super Slinkys, and Nickel Medium Guitar Strings. Check out one of the album’s most popular songs so far, “Rolling Strong,” in the video below. Also, visit their website for tour dates and tickets. MxPx uses Power Slinkys and Bass Regular Slinkys. MxPx bassist, Mike Herrera, plays with a Music Man StingRay. Check out Mike giving the new 2018 StingRay Special a spin and chatting about his favorite aspects, below. Bowling for Soup frontman, Jaret Reddick, teamed up with TLE for their single, “Kids Eat Free.” The song came out with an Official Music Video, embedded below. The song is pretty quirky and talks about the difficulties parents face with their child’s nutrition. Bowling for Soup will be on a Fall Tour. Tickets are available on their website. 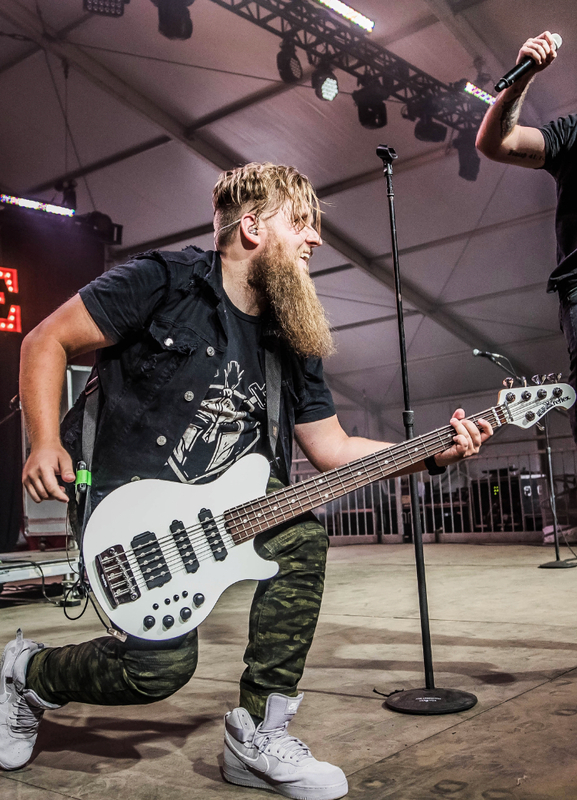 Bowling for Soup performs with Power Slinkys and Bass Hybrid Slinkys. 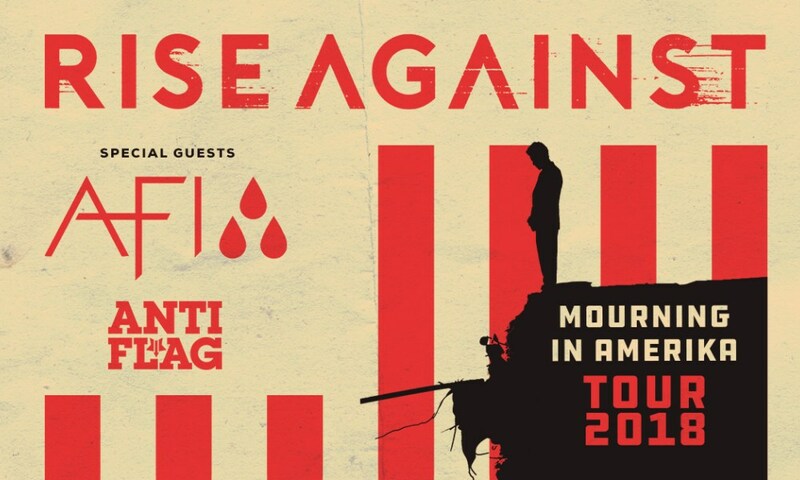 Ernie Ball Artists Rise Against are headlining a tour with AFI. The two bands will also be joined by fellow Ernie Ball family, Anti-Flag. The “Mourning in Amerika Tour” began July 28th and will continue through September. Visit either of their websites for more information on ticket prices and dates! You don’t want to miss out on what is lining up to be one of the biggest rock fall tours this fall! Expect songs from Rise Against’s Wolves album from 2017 and AFI’s self-titled album. Rise Against play Regular Slinkys and Skinny Top Heavy Bottom Slinkys. AFI play Regular Slinkys and Bass Hybrid Slinkys! We had the pleasure of filming both Tim of Rise Against and Jade of AFI in our String Theory series. Check out both videos below! 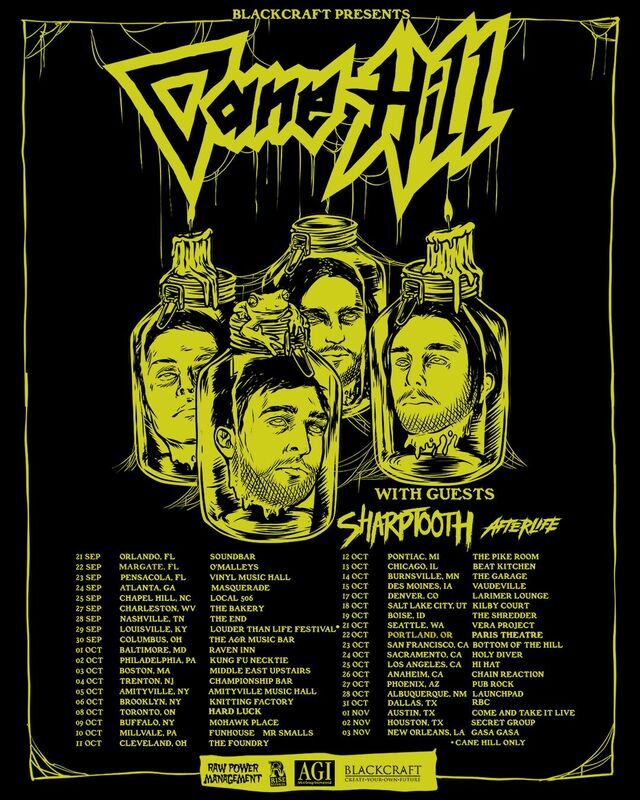 Cane Hill will be beginning their first U.S. Tour this fall! Visit their website to get tickets while they are on sale. The group released their second studio album, Too Far Gone, on January 19th. The tour includes around 40 dates and the Louisiana based band will be joined by Sharptooth and Afterlife. Check out the newly released Official Music Video for “Too Far Gone” to hold you over for the tour. 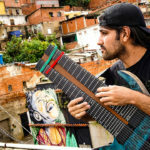 Cane Hill play Cobalt Hybrid Slinkys and Bass Power Slinkys. 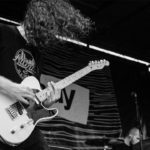 Check out Stephen Deloach from Ben Wells rocking out his Ernie Ball Music Man Reflex 5!